But recently I've seen news reports about a rare and scary tick borne disease called Powassan virus which is spread by deer ticks. News stories reported that an infant that developed the disease was the first case ever in Connecticut, and that the tick had been attached less than 3 hours on the child. What is Powassan virus and should I be concerned? The good news is that it is very rare, but the bad news is that it's very scary: the virus can be transmitted in less than 2 hours (even as little as 15 minutes!) from an attached tick, and is fatal in about 10% of cases. It can cause encephalitis. And among those who recover, there is about a 50 percent chance of permanent neurological damage. On the other hand, the CDC also says: "Many people who become infected with POW virus do not develop any symptoms." - But note that we don't know how many people get it and don't get serious symptoms, or any symptoms at all. Powassan virus (POWV) is a tick-borne flavivirus that was first discovered in Ontario, Canada in 1956. At this time we don't know how prevalent it is in the US. From 2006 to 2015, an average of 7 cases of POWV were reported each year in the United States - only 77 cases in total. Although the virus is mostly found in the Northeast and Great Lakes region of the United States, some states outside of this area have been reporting their first cases. One recent study found that the Powassan virus was in 1 to 2% of the ticks studied in Long Island in NY and Connecticut. The Centers for Disease Control (CDC) states that: "Signs and symptoms of infection can include fever, headache, vomiting, weakness, confusion, seizures, and memory loss. Long-term neurologic problems may occur. There is no specific treatment, but people with severe Powassan virus illnesses often need to be hospitalized to receive respiratory support, intravenous fluids, or medications to reduce swelling in the brain. One study of 14 Powassan virus cases in NY state (2004-20012) reported that all of the hospitalized patients who received corticosteroids during their illness survived (looks like something helps). Summer is nearly here, and it's bringing fears of a rare tick-borne disease called Powassan. This potentially life-threatening virus is carried and transmitted by three types of ticks, including the deer tick that transmits Lyme disease. Over the past decade, 75 cases have been reported in the northeastern states and the Great Lakes region, according to the US Centers for Disease Control and Prevention. 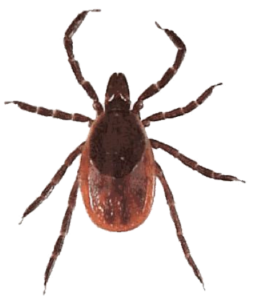 Though no one can say how many infections will occur this year, warmer winters have led to an increased tick population, so experts predict rising tick-borne infections of many types. Just as there are no vaccines to prevent infection, there are also no treatments for Powassan. There are some experimental therapies we try when somebody comes in and they get here early enough and we get the therapy started early enough, but we have no idea if any of that works," Lyons said. Standard treatment includes intravenous fluids, though antiviral medications, systemic corticosteroids and other drugs have been tried in some patients. Scientists also believe Powassan is on the rise based on studies that have identified an increasing number of infections in deer. Similarly, Lyme is showing increasing numbers. ....To make the matter more complicated, we are seeing greater number of ticks infected with other tick-associated pathogens, including babesiosis and anaplasmosis," Molaei said. Both babesiosis and anaplasmosis usually don't have symptoms, just like Powassan, though both may cause severe or even life-threatening illnesses.